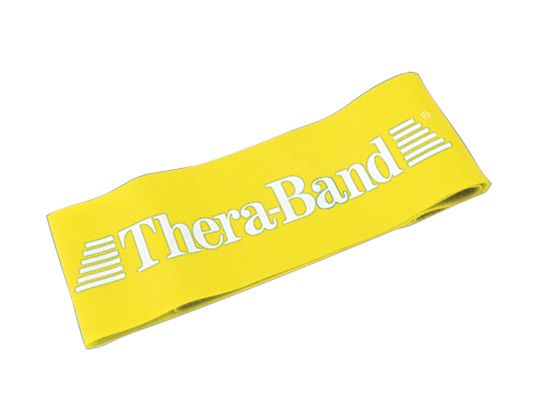 TheraBand® latex exercise loops are available in "lay flat lengths" of 8, 12 and 18 inches and can be used to support a broad range of upper and lower body exercises. Each loop is 3 inches wide. Dimensions: 8" x 0.2" x 3"
Dimensions: 12" x 0.2" x 3"
Dimensions: 18" x 0.2" x 3"